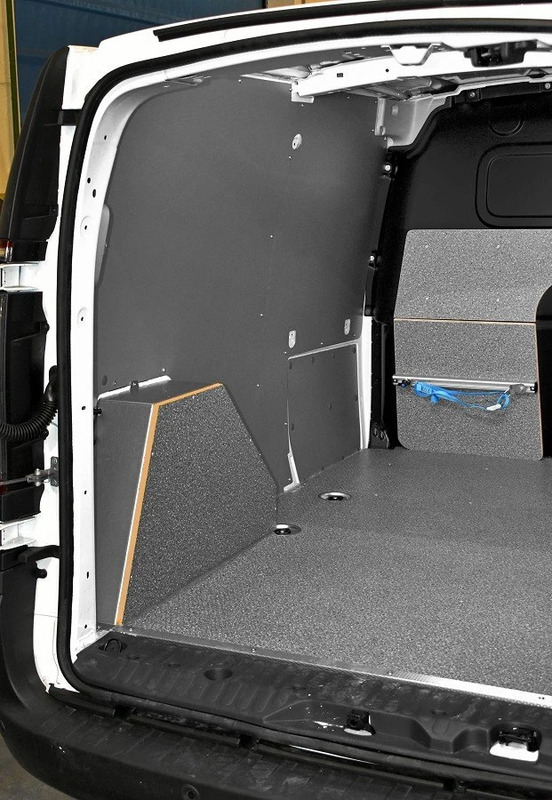 The Renault Kangoo and Kangoo Express are panel van and leisure activity vehicle produced by French automaker Renault since 1997. 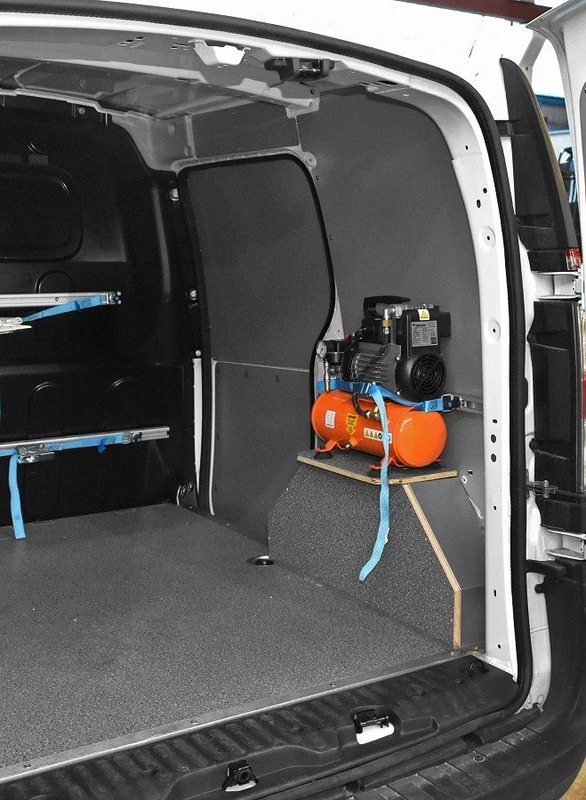 The first generation Kangoo was a success on the wave of similar models like Berlingo-Ranch. 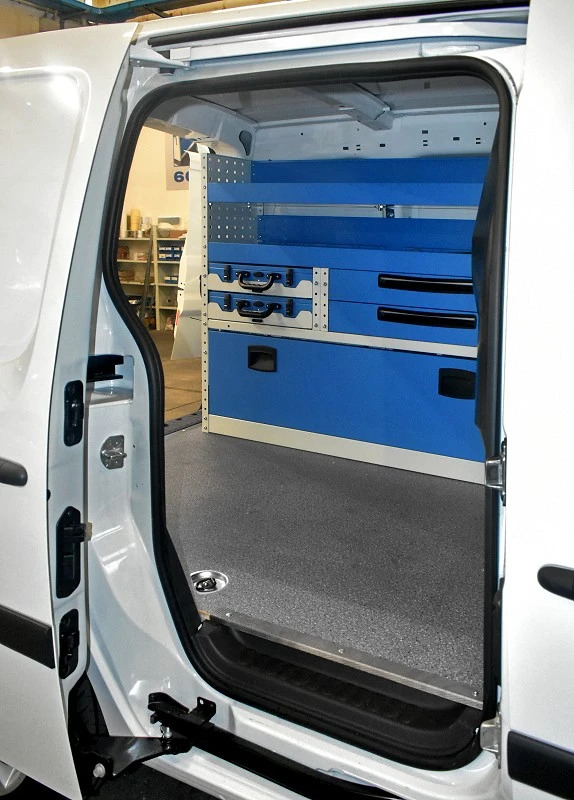 The New Renault Kangoo was the new generation light commercial vehicle (LCV) in Renault's lineup, sales began in January 2008. It can be provided with petrol or diesel engine up to 106 CV. A short wheel base version, New Kangoo Compact, was released in May 2009. 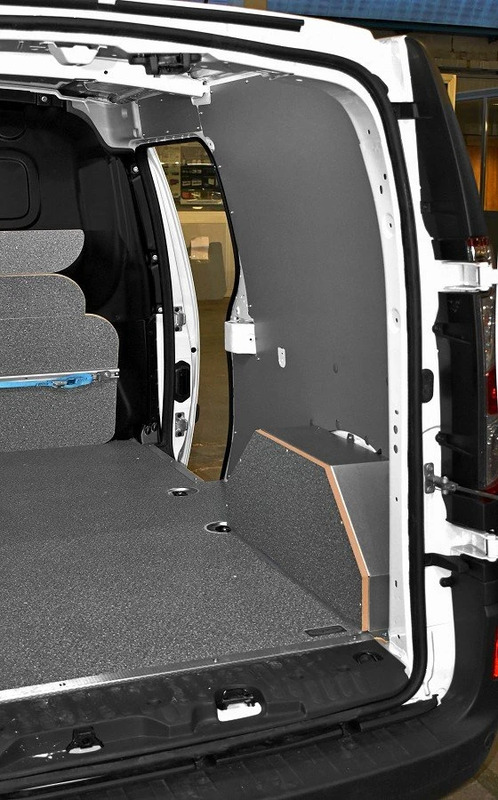 Based on the Scenic platform, it has the same driving feature of a car and a huge cabin similar to that of a minibus. 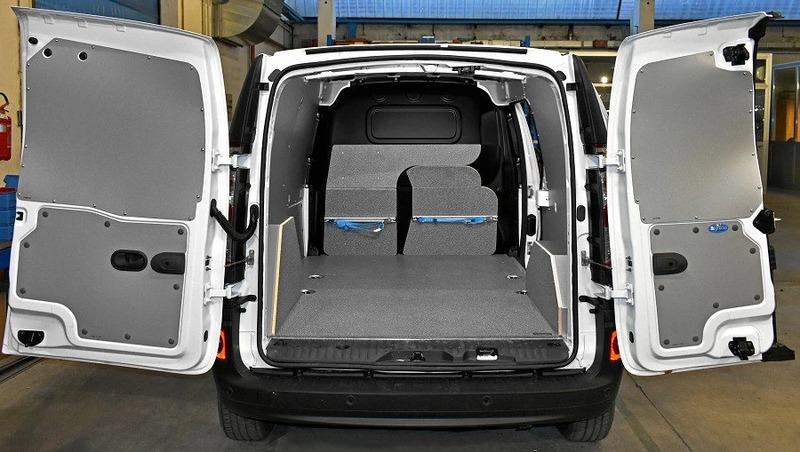 Cargo area is not very large but can be easily fitted with Syncro in-vehicle storage solutions. 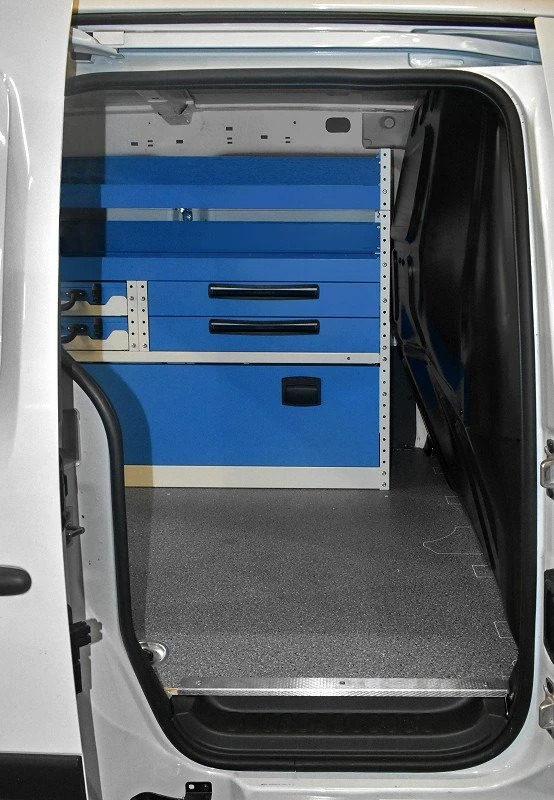 Syncro offers flooring panels in marine plywood resin coated or aluminium, side lining, whereas various storage solutions for Kangoo are: drawer units, van shelves and racks with dividers or plastic bins, roof racks, roof bars and a great variety of van accessories. 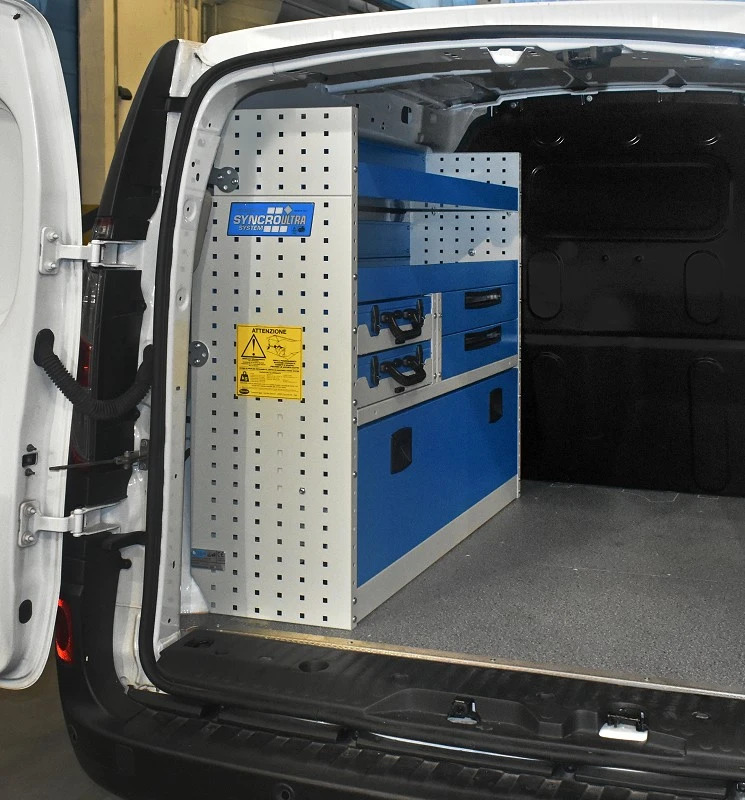 A highly-appreciated products are the under floor drawer units for vans that comprise of 2 drawer units on the rear doors and one on the side door. On top there is a double floor in marine plywood with a resin coating or aluminium. 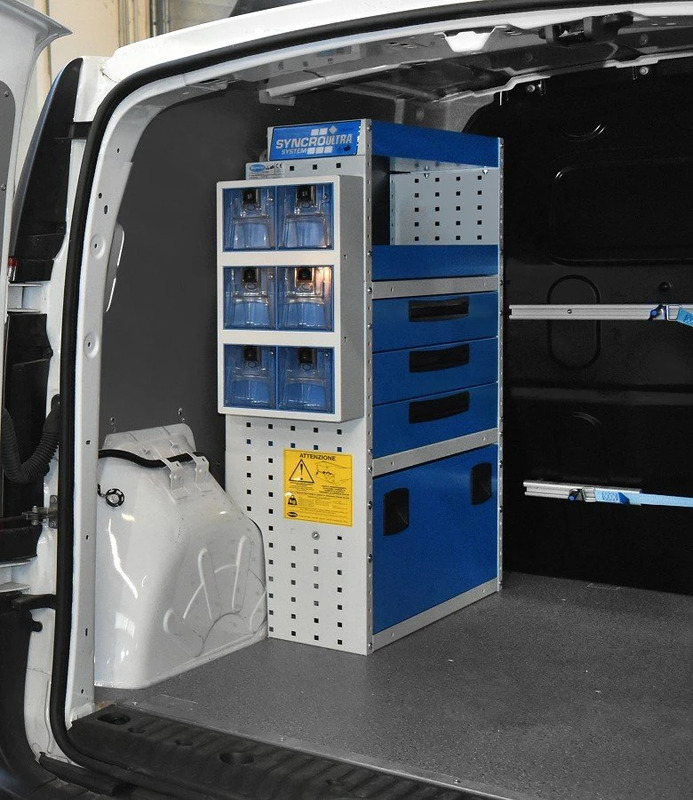 With such storage solution only 23 cm high, the load deck is always free for loading cargo, tools and equipment. 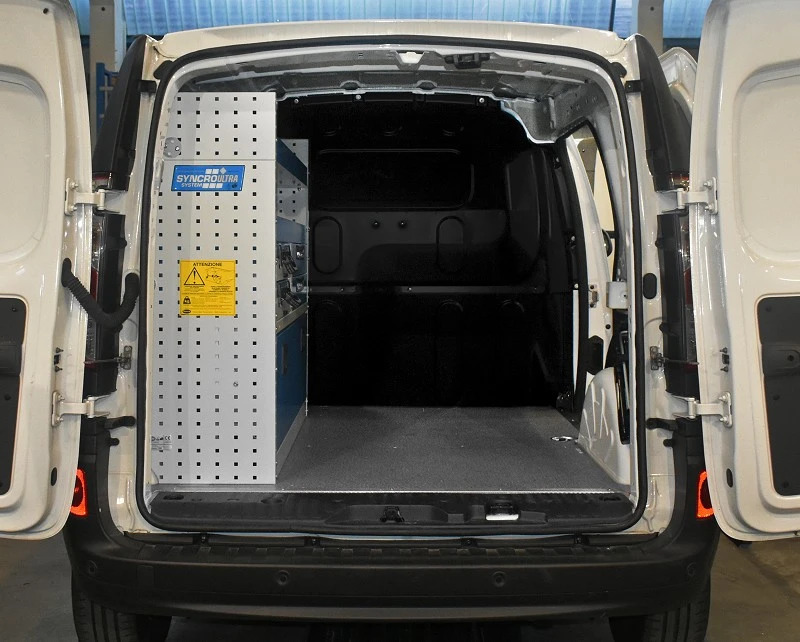 Here some other examples of van racking for Kangoo Renault. 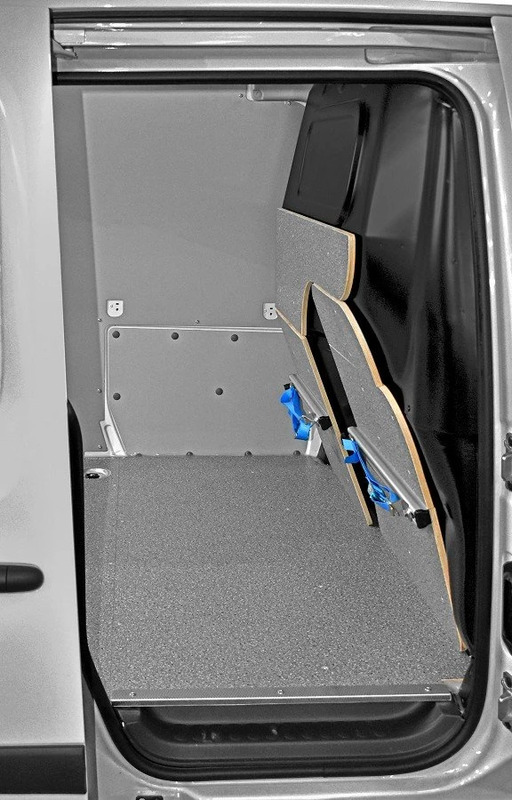 Available for Kangoo: floors in aluminium or resin coated wood, side lining in painted metal sheet or aluminium, in addition to wheelhouse covers and other van protections. 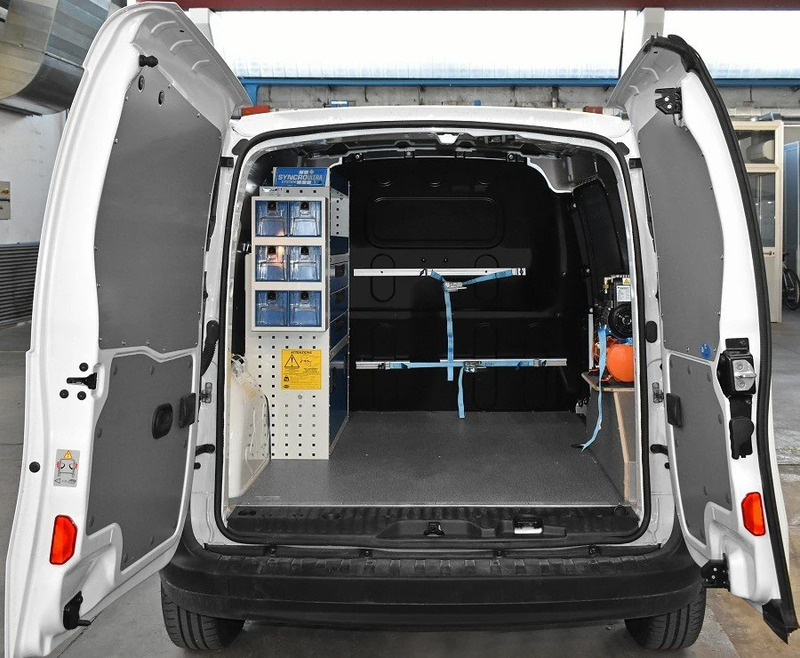 Syncro offers also a great variety of ladder racks and roof racks for Kangoo. 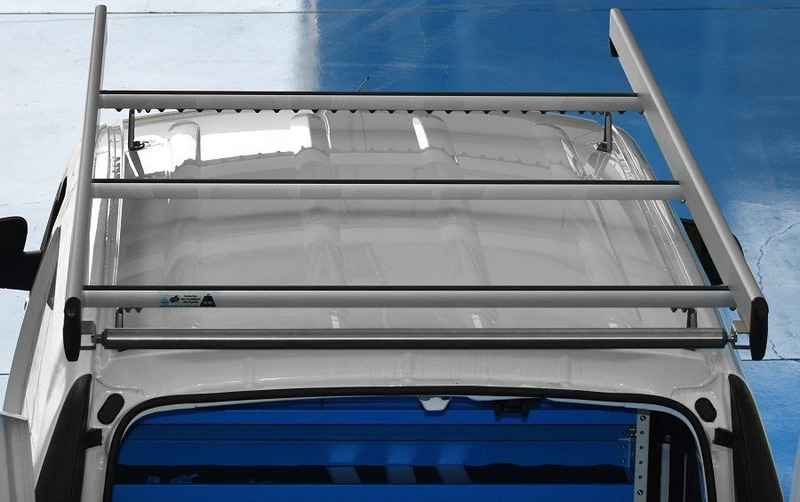 These are made of aluminium and stainless stee, provided with the exclusive Ultrasilent roof bars that reduce noise and vibrations.